Suzanne L. Bailey Attorney - Suzanne L. Bailey Biography | National Legal Research Group, Inc. B.A., University of Virginia, 1980. J.D., University of Detroit School of Law, 1983. Member, Michigan, New York, and Virginia Bars. Suzanne started her legal career as Law Clerk to The Honorable Stewart A. Newblatt, United States District Court for the Eastern District of Michigan, from 1983 to 1985. She left Michigan for New York, and from 1985 to 1990 she served as an Assistant Corporation Counsel (promoted to a Deputy Chief Assistant Corporation Counsel in 1989) with the New York City Law Department, General Litigation Division, litigating in the state and federal trial courts of New York City, primarily in the areas of civil rights and employment discrimination. 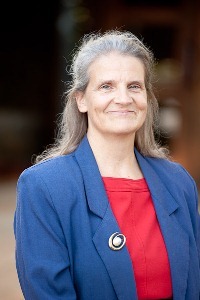 After a brief residence in London, England, Suzanne returned to Virginia in 1991 and joined NLRG, where her areas of expertise include Administrative Law, Evidence, Civil Procedure, Civil Rights, Criminal Law, Elections, Immigration, Insurance, Labor & Employment, Medicare/Medicaid, Schools, Social Security, State & Local Government, and Workers' Compensation. Suzanne’s legal writing spans law review articles, pleadings, motions and supporting memoranda, appellate briefs, and even petitions for a writ of certiorari to the U.S. Supreme Court. She genuinely enjoys the law and unlocking its puzzles to solve problems and help people. She has been a member of the Management Committee since 2015. When she is not at NLRG, Suzanne walks, reads, watches movies (especially old ones), keeps in touch with her huge extended family, and volunteers at her church. "I could not be happier with the end product [petition for rehearing and rehearing en banc]. I again want to thank you for a job well done and your professionalism. "—Wayne P. Smith, Schenectady, N.Y.